An apt gift for the upcoming festive season this Luscious Craft T. Blue Raw Silk Formal Wear Tunic with Print Design can make you the centre of attraction at every function. 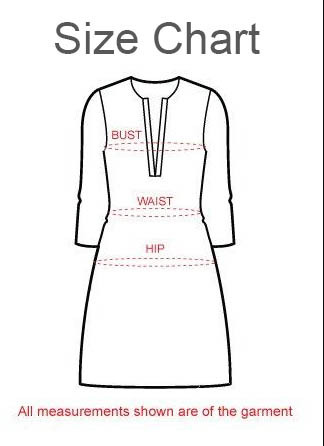 This round neck tunic has three quarters of sleeves attached to it. The thick taping in orange adorns the neck and forms a gala patti along with border at the base. Printed motifs lace the tunic in a beautiful fashion and make it a wardrobe essential.